IDENTITY LA, the Los Angeles sponsored outdoor music festival celebrating Los Angeles' Asian Pacific Heritage Month, brought thousands of attendees to Grand Park at LA City Hall on May 12, 2018. Presented by Los Angeles Councilmember David Ryu (CD 4), the city of Los Angeles, Pacific Bridge Arts Foundation and International Secret Agents (founded by Wong Fu Productions and Far East Movement) and sponsored by Comcast | NBC Universal and Private Internet Access, the IDENTITY LA music festival was a free, open-to-the-public event highlighting the community's history in the city through live performances by internationally renowned APA artists and entertainers, LA's best Asian food trucks curated by Roy Choi, art from local vendors and more! 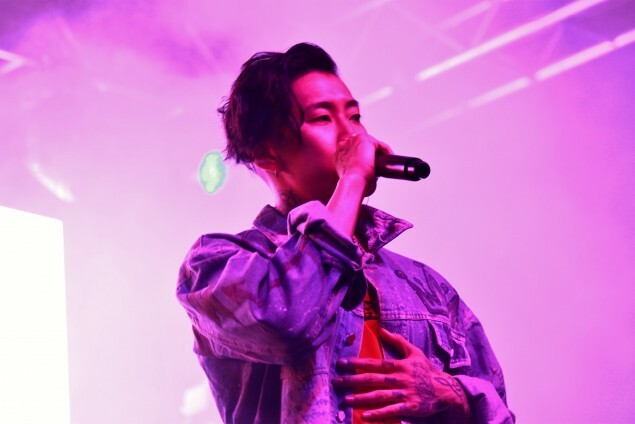 Not only did the lineup include APA performers like DJ Zo, Ruby Ibarra, the Kinjaz, Milck, G Yamazawa, Hoody, Hotel Garuda, Jay Park, and Mike Shinoda, Identity LA also boasted a number of notable attendees like Ross Butler, Jeremy Lin, Harry Shum Jr., Dante Basco, Sweater Beats, Dia Frampton, Joseph Vincent and others. This year's honorees also included notables such as fitness guru, Cassey Ho, and Crazy Rich Asians film director, John M. Chu. Festival-goers were treated to a number of dynamic acts with each showcasing their individual talents as a way to show support solidarity in the month of May. ALLKPOP had the chance to sit down with Identity LA headliners and dynamic DJ Duo, Hotel Garuda, to speak about Asian/Pacific representation, their stories, and their favorite K-Pop songs and artists. Both members, Chris Gavino aka Manila Killa and Aseem Mangaokar aka Candle Weather of Hotel Garuda consider themselves third culture kids who spent a lot of time traveling around the world moving from place to place never being able to call their hometown 'home'. "As far as how my heritage influences my art, I was always around music growing up because my mom and dad are Hindu and practicing Hindu. So they practice in all the traditional rituals and ceremonies where you sing, do prayers, and stuff like that," remarked Aseem. Chris echoed the sentiment of impermanence saying, "I'm moving around all the time, and my musical inspiration from was like any other kid on the internet. Just looking through stuff online, listening to the radio, and watching TV. I was very heavily influenced by what was shown to me on the media. A lot of pop music I found is through the internet and where I get a lot of my inspiration from." When asked about the biggest challenges they face and overcome as a representative of their heritages, Aseem commented, "I don't know if it's an obstacle for me to overcome necessarily, but it's something to be made clear that we're like everyone else that has artistic passions or artistic things they want to chase or pursue. People like that are cut from the same cloth, no matter what your heritage is." 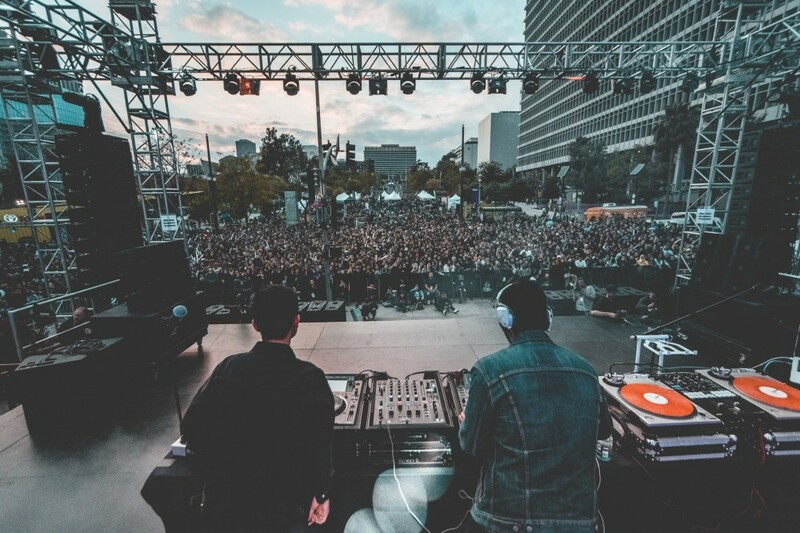 Hotel Garuda is a strong proponent of the AAPI artist scene and believes that the scene will continue to grow "onwards and upwards" with the new up-and-coming crop of Asian-born artists. "I think what's really cool about all these people is that they were the first in their families to kind of break out of that mold that a lot of Asians are stereotyped towards," said Chris. Through growing up in families that wanted the two to pursue a 'normal' career, the duo experienced hardship breaking the proverbial norm and stereotypical needs set by their Asian families. Aseem noted that, "Our parents just want what's best for us and they're doing what they think is right, so we can't really fault them for thinking like that or wanting us to have stability. It's just that stability means different things to different generations. I think what we look for in stability is just not necessarily the same thing our parents look for." Shifting gears, we spoke to Hotel Garuda about their favorite K-Pop songs and artists! Aseem excitedly chimed in saying, "I just got put on to LOONA. I just heard the song "Eclipse" by Kim Lip. "Eclipse" is my jam. It's (the visuals) so cool. I watched the video and made a gif out of it. Yes, I made a gif from the video. I love their songs and I love all their melodies. I don't understand all their lyrics, just little snippets in English. So if anyone from LOONA is reading this- get at us� we'll make beats for you!" Chris, on the other hand, is a VIP, thanks to his girlfriend (an avid reader of ALLKPOP). He even attended a Taeyang concert in New York thanks to her. He stated that Big Bang's "FXXK It" was a favorite track of his. All-in-all, Identity LA 2018 inspired over ten thousand people to come together in celebration of Asian Pacific American communities by showcasing LA's diversity and pushing for inclusion in mainstream culture and society. For more photos from the event, check out AKP's Identity LA Snapshots slideshow. 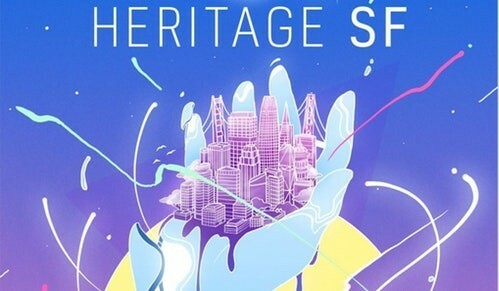 For those of you who live in Northern California and missed the event, ISA will be putting on Heritage SF, a similar event with performers like P-Lo, Yuna, The Flavr Blue, and many more! The show is free on Saturday, May 19 at the Midway. Information on that event can be found on https://heritage-sf.org.